Before the market fell, the chill was running through the Year of the Dog. After the performance of listed companies, the thunderstorms followed, and huge losses and goodwill were often seen. According to the previous judgments of most brokers, A shares are expected to usher in a rebound in the Year of the Pig, and the net outflow of funds may be reversed. However, the performance of some listed companies still has a large risk, and the industry outlook is still unclear. While grasping investment opportunities, the investment concept of mine clearance is essential. 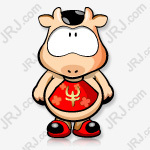 The year of the pig has arrived. The Securities Times·Data Bao combined with the multi-dimensional data indicators such as rating, fundamentals, institutional positions and stock price trends of the brokerage research report to screen out the top 20 potential stocks of the Year of the Pig. Fourth, the company's current share price is higher than the historical high. After screening, a total of 20 stocks from 11 Shenwan-level industries were selected for the list of potential stocks of the Year of the Pig, 4 of which were from the pharmaceutical and bio-industry industries, and the remaining industries were no more than two. There are 9 and 11 stocks from the main board and SME. Institutional ratings and research enthusiasm have a high reference value for analyzing the growth prospects of individual stocks. Among the top 20 potential stocks, 9 shares received an increase of more than three brokerage institutions in January 2019 and above. Hang Seng Electronics,Sany Heavy Industry,Aier Ophthalmology,JuhuawithPilot intelligenceReceived positive ratings from no less than five institutions and received a high level of attention. The stock prices of the above-mentioned 5 brokers who gave more positive stocks were stable overall. In addition to Juhua, the remaining 4 shares have achieved positive returns in the past year, and Hang Seng Electronics’ share price has increased by 20% in the past month. From the reasons for the recommendation of individual stocks, the high growth in performance, the increase in demand, and the consolidation of leading positions in the industry are the main concerns of the brokers when they give positive ratings. Leading stocks in the industry usually have greater development potential and risk resistance. As of January 31, 2019, among the top 20 potential stocks in Data Baoni, the latest total market capitalization of 10 shares ranked the top two in the Shenwan secondary industry. Zhifei creature,Angel Yeast,Biological shares, Sany Heavy Industry, Pioneer Intelligence andSun Paper6 shares are the market value champions of the industry, and the main products have a high market share in the segmented industries. Taking Angel Yeast as an example, yeast production has a market share of 60% in China, ranking first, with an international market share of nearly 15% and the world's third. Among the 6 shares, except for Sany Heavy Industry and Sun Paper, the market value of the other four shares in the industry is significantly higher than the proportion of its operating income in the industry. The leading stocks in the industry generally enjoy a certain valuation premium. The cash dividends of listed companies are an important indicator of their sense of social responsibility. 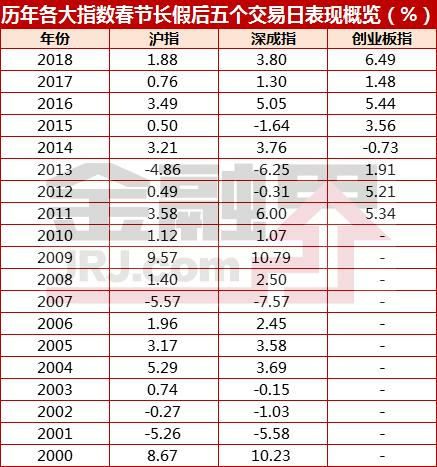 The listed companies that were selected as the top 20 potential stocks in the data year of the Year of the Pig in the three years from 2015 to 2017 have accumulated dividends of RMB 26.9 billion.Yanghe sharesThe accumulated dividend for the three years was 9.72 billion yuan, the highest amount. From the proportion of cash dividends in net profit, the average dividend payout ratio of the top 20 potential stocks from 2015 to 2017 was 44%. Guanglianda, Juhua shares,Antu Bio, Sany Heavy Industry, Aier Ophthalmology, Yanghe shares andXinhechengThe dividend payout ratio is over 50%, and shareholder returns are the strongest. Among the top ten tradable shareholders of the listed companies, there are many funds, social security and foreign capital. Among the fund's Awkwardness stocks, China Testing, Guanglianda, Pilot Intelligence,a perfect worldwithSophiaAt the end of 2018, the number of shares held by the fund accounted for more than 10% of the circulating A shares. Among them, China Testing and Co., Ltd. received the fund's position increase last year, and the remaining three shares of the fund declined. Among the foreign-invested shares, the total shareholding of 6 shares of China Securities Testing and Angel Yeast and QFII shares accounted for more than 10% (QFII holdings are the data for the third quarter of 2018), and the proportion of foreign holdings in the past year Both have increased. The total amount of funds and foreign capital held by China Testing has accounted for more than one-third of the total, which is the highest among the top 20 potential stocks. Data Bao pig year 20 potential stocks generally have a steady performance growth rate, 17 shares in the past three years after the deduction of the parent company's net profit compound growth rate of more than 10% (in 2018 replaced by three quarterly data). Combining the two dimensions of high growth and steady growth, Xinhecheng, Pilot Intelligence, Perfect World and other 8 shares have a compound growth rate of more than 25% in the past three years and a growth rate of more than 10% in each year. Among them, Xinhecheng's net profit growth rate of deducted non-net profit in the past three years exceeded 100%, which was the highest among the top 20 potential stocks. Judging from the 2018 performance forecast, Zhifei Bio,Guanghui EnergyThe net profit growth rate of Sany Heavy Industry and Juhua Co., Ltd. exceeded 100%, and the performance is expected to double. In the past year, A shares have been walking bears. From February 1, 2018 to January 31, 2019, the Shanghai Composite Index fell 25.75% in one year. The 16 Shenwan-level industries fell more than 30%, and 90% of the stocks fell. Individual stocks with excellent fundamentals and good growth prospects were killed. 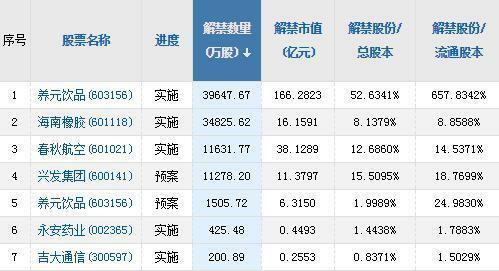 Among the top 20 potential stocks in the Year of the Data, 6 shares have fallen more than 30% in the past year and exceeded the overall decline of the Shenwan-level industry in which they are located. Sofia,Sanan OptoelectronicswithDahua sharesThe stock price was the biggest loser in a year. Sanan Optoelectronics and Sophia's share price in the past ten trading days hit a three-year minimum. Oversold stocks are expected to take the lead in the rebound. Corresponding to the oversold stocks are stocks with good resilience. Among the top 20 potential stocks, 12 stocks fell less than the broader market in the past year, and 8 stocks rose against the market. The latest closing price of 6 stocks was less than 30% lower than the highest price in one year, and went out in the context of weak market. Independent market. In terms of individual stocks, China Testing's share price rose by 72% in one year, and the gains were far ahead of the top 20 potential stocks. The recent stock price hit a new high in more than two years. Guanglian, Zhifei and Hang Seng Electronics all increased more than 20% in one year. The limit of the daily limit on February 1st: the annual finale is started. Focus on these potential stocks. The sent-and-turn market continues to heat up. Huatai Securities: The military industry is suitable for high prosperity. The agency favors 4 potential stocks.